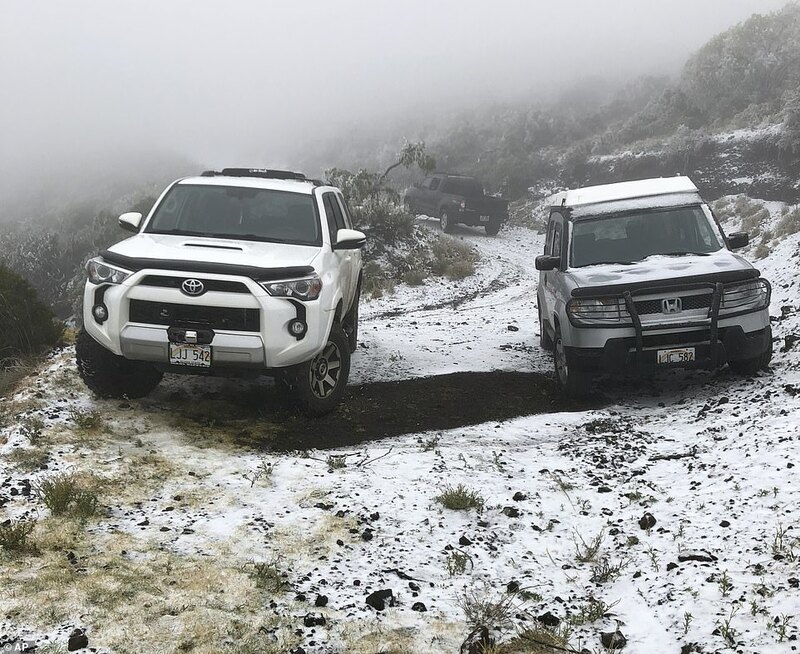 While snow is not unheard of in Hawaii, officials said the blanket at Polipoli Spring State Recreation Area on the island of Maui is likely the first for any state park. 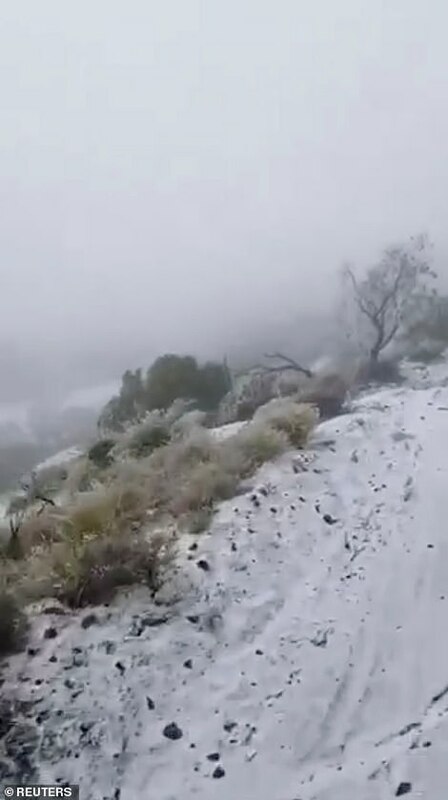 Polipoli is located at an altitude of 6,200 feet and today's blanket of snow is possibly the lowest elevation sprinkling ever recorded in the state. 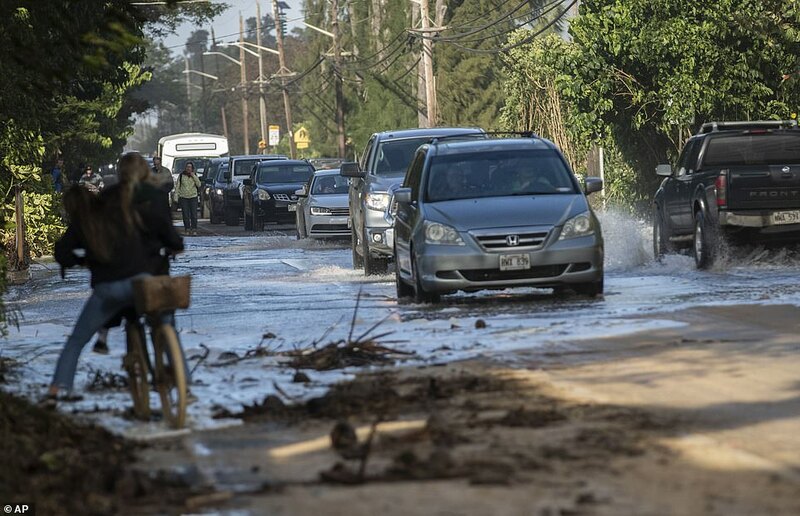 The storm, which the National Weather Service office in Honolulu described as 'historic,' first began pounding the islands Friday. 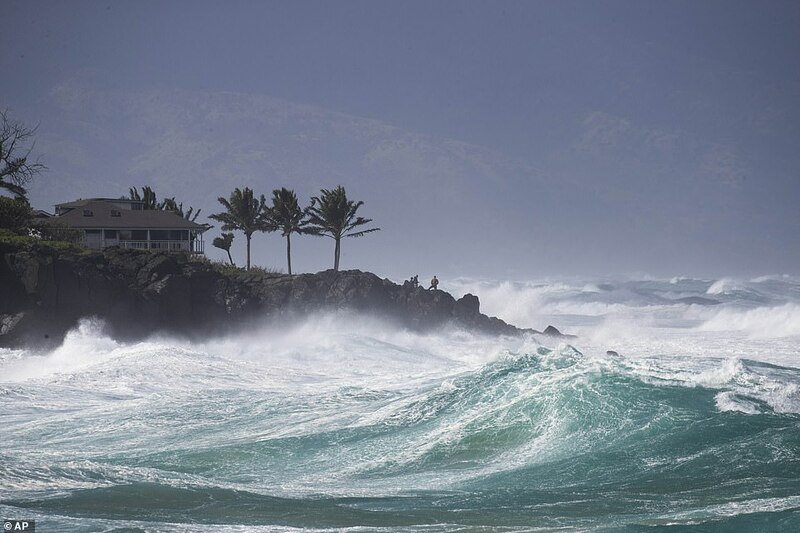 Hawaii News Now reported a 66-year old California man died in the rough surf off northwest Maui on Friday. '(Forecasters) are calling this an unprecedented event and we concur that we rarely if ever have seen the combination of record high on-shore waves, coupled with gale force winds,' said Sam Lemmo, administrator of DLNR. 'I just wanted to go play in the snow,' Endo said. 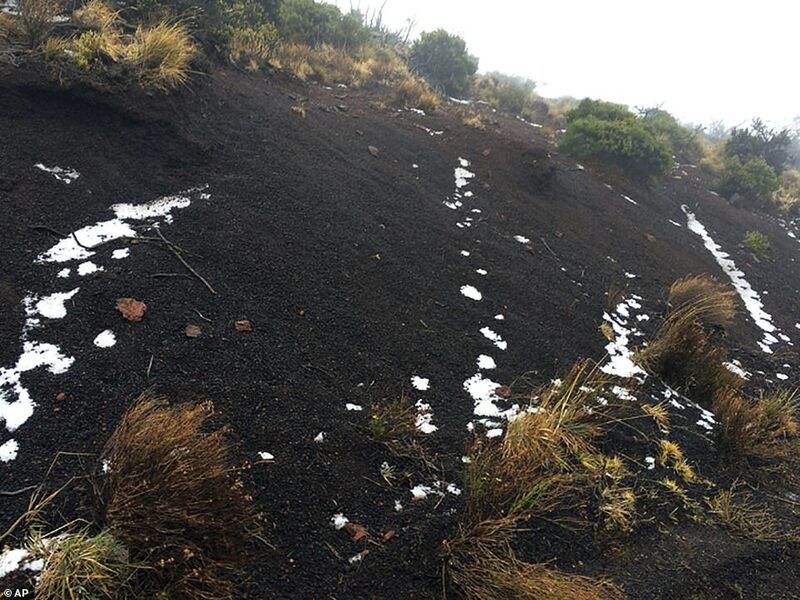 Endo headed back down from the park on the slopes of Haleakala, where the weather service says there were snow drifts of about 4 feet, to bring his two children up to the park. 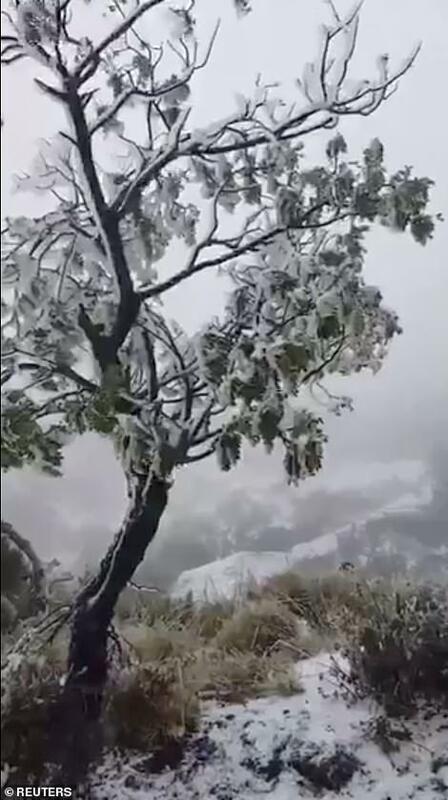 The snow has been brought to Hawaii by a chunk of cold, low-pressure air separated from the main flow, known as a Kona Low. 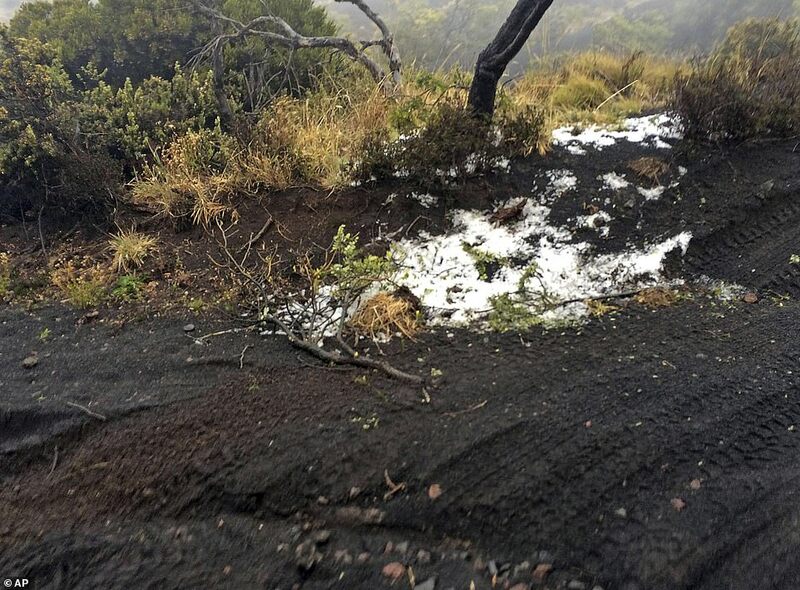 The storm's most extreme blow was generated on the Big Island's towering peak of Mauna Kea where a 191mph wind gust blasted the mountain summit at 4.40pm local time Sunday. The visitor station on the 13,308 foot mountain is closed until Tuesday 'due to the predicted continuation of severe weather,' according to the station's website. The road is shut down whenever visibility drops below 50 feet, or winds gust to 65 mph or greater.